We woke up to our alarm at 9am a little too bleary eyed, 6 hours of sleep wasn't nearly enough it seemed. Thankfully this hotel comes with breakfast but none of us were overly hungry- a true sign of our fatigue. Luckily the hotel can accommodate us for one extra night whilst the tyre gets fixed- didn't hear anything from Motability RAC about a new hotel, of course. After another hour relaxing in the room, we didn't want to waste the day and caught the metro underground to the city centre and the Duomo. I'm so happy to tell you that the metro is really accessible for wheelchairs, horray!!! The main yellow line is completely wheelchair friendly and the majority of the other stations sre accessible too. Make sure to take the final carriage as it's a little lower than others so it's easier to access, and only €1.50 for a 90 session, bargain. The Duomo Piazza is beautiful and flag stone so not as bumpy as cobble streets (although there are a few cobbled side streets where you'll find the Gelato bars), but be warned that there are lots of people selling rubbish and trying to get you to buy seeds for the pigeons. The surrounding streets are full of the big shops, Prada, Louis Vuiton and Benneton amongst many others, we of course headed to the Disney store... ! The general layout of Milan is really simple to navigate as it all stems off the Piazza, and 95% of the time there's a dropped curb, but a great deal of the shops have one big step in their entrance. 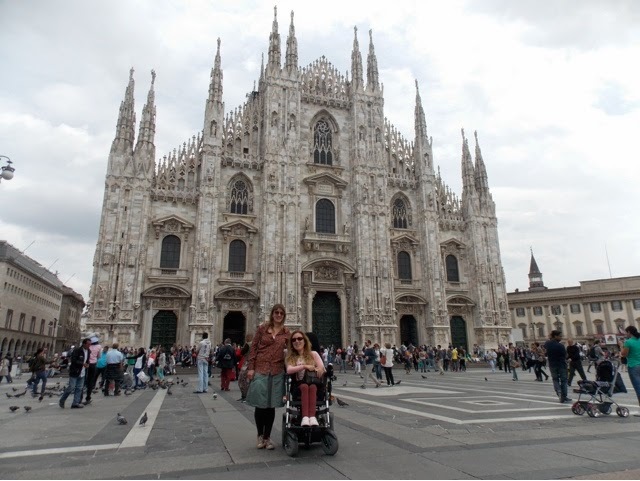 A lot of people stopped to stare in Milan today, moreso than any other country we have visited so far, and where I chose to believe it was for my beauty, I know that it's because disabled people just don't have electric wheelchairs nor the quality of life that we have in the UK. The man from the garage tried fo explain this to us last night too. And as an update to the van situation, I had a phone call from Motability RAC at 2pm today to tell me that they have finally found us a hotel but still don't have a taxi... so that would be 19hours to sit in the cold without somewhere to sleep or go to the toilet. Cannot believe this is even happening! So I explained that I had sorted it myself so that I could stay in the current hotel for another night, and asked them to pay for it. They said they have a £30 limit per night...!!!!! But after a few cross words it's been agreed that they will pay the hotel fee of €100 and a taxi back to the garage. I even got a claim form sent to my email within 10 minutes. 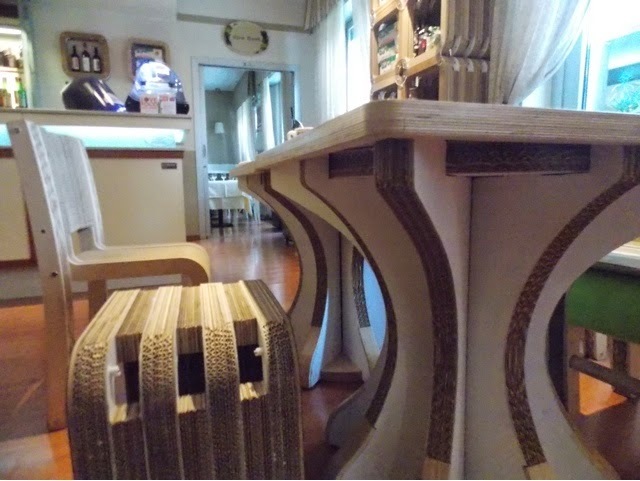 And now we sit in our lovely hotel eating some Italian goodies we picked up earlier (we had a classic Italian lasagna and carbonnara for a late lunch, delicioso!) 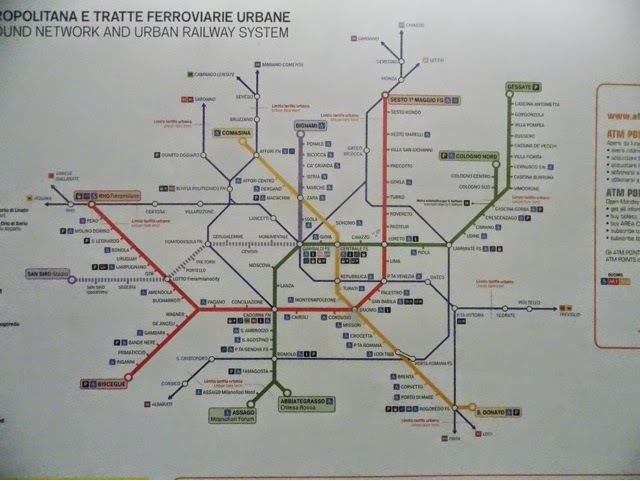 which I honestly would recommend to anyone visiting Milan. It's called Hotel La Residenza and it's about 10 minutes on the metro to get to the Duomo piazza, the metro station being a 4 minute walk from the reception. This is the first hotel that has used the 1:12 building regulation for ramps, and the room is pretty good for access. We have an extra bed in for my PA so it's taking up extra space for turning. We didn't take the Molift hoist with us as we had expected to have to walk through the centre of Milan at midnight with no where to go so didn't think it would be easy to drag it on cobbles, so we have the ProMove sling to quickly transfer into bed and back. A lifesaver in this awful situation. 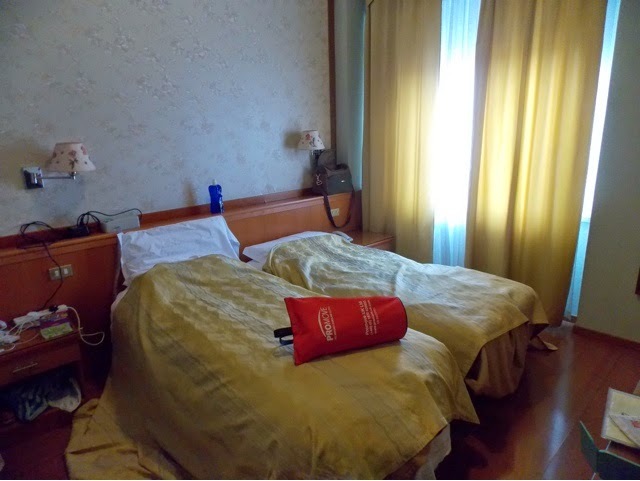 Although there is lots of room to put the hoist legs under the bed and the doorways are wider too. 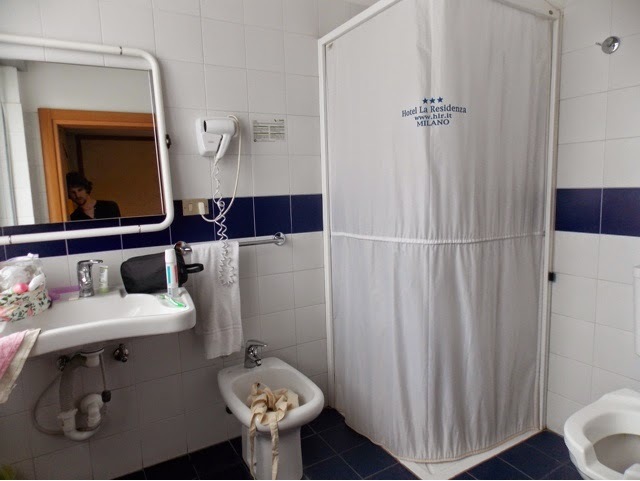 The bathroom too is pretty spacious, with all wet room facilities. The lift is far too small for any electric wheelchair but all disabled rooms are downstairs anyway. 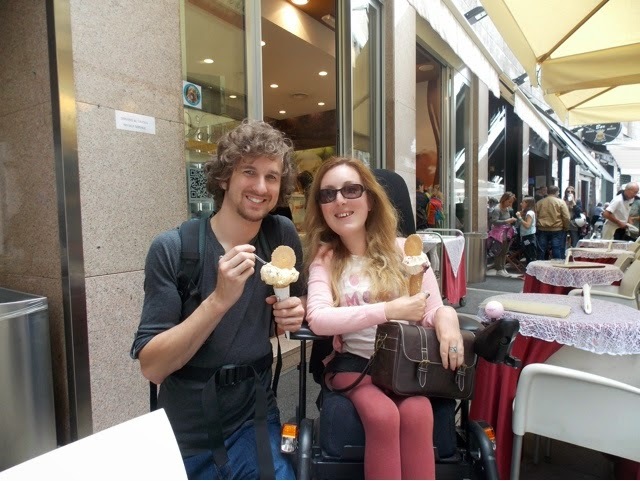 Sightseeing, eating pasta and icecream - that's more like it. Thanks for the hotel recommendation - I might try it myself. Glad to hear things getting sorted out, if slowly.